Duke Energy, one of the largest utilities in the United States, has announced that it is acquiring a majority stake in REC Solar, a solar energy developer. The company will be investing some $225 million into commercial solar energy projects that have been developed by REC Solar. 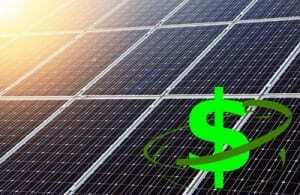 The funding is expected to help REC Solar introduce new pricing models for its solar power services to the commercial market, wherein solar energy is becoming a very attractive solution. REC Solar has been showing interest in the retail, technology, manufacturing, and agriculture markets. In these markets, solar energy has made relatively little impact. These sectors have the potential to benefit greatly from the use of solar power, but few companies have made this type of power available. As such, these markets represent untapped potential for energy developers like REC Solar. The funding from Duke Energy could help REC Solar establish a foothold in these markets and allow it to provide services that have been relatively lacking in the past. The investment made by Duke Energy will be augmented by a long-term power purchase agreement that the company has made with REC Solar. Through this agreement, Duke Energy will purchase electrical power produced by REC Solar’s solar energy projects. This energy can be used by Duke Energy to reduce the cost of the power it supplies to its commercial clients. Solar energy has become a powerful force in the United States. This form of renewable energy has received strong support from both the federal and state governments, which see solar energy as a potential way to boost the economy and make the country more environmentally friendly. Solar power is beginning to gain traction with traditional utilities, as well, as they are beginning to feel pressure to embrace renewable energy.